If you’re looking for great value and personal service, you’ve come to the right place. At Tom's Tents we’ll give you the attention and personal service you’ll come to expect and enjoy. Tom's Tents has been located in Halfmoon, NY since 2010. Let us put our experience to work for you. Call 518-817-9542 today to schedule your event. 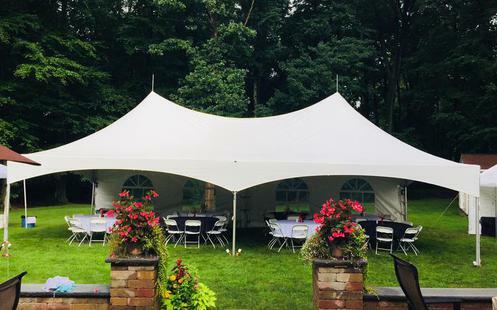 Specializing In: Clifton Park Tent Rental, Latham Tent Rental, Halfmoon Tent Rental, Colonie Tent Rental, Ballston Spa Tent Rental, Niskayuna Tent Rental, Troy Tent Rental, Albany Tent Rental, Saratoga Tent Rental, Saratoga Springs Tent Rental, Waterford Tent Rental, Capital District Tent Rental. Tent Rental Clifton Park, Tent Rental Latham, Tent Rental Halfmoon, Tent Rental Colonie, Tent Rental Ballston Spa, Tent Rental Niskayuna, Tent Rental Troy, Tent Rental Albany, Tent Rental Saratoga, Tent Rental Saratoga Springs, Tent Rental Waterford, Tent Rental Capital District. Clifton Park Table and Chair Rental, Saratoga Table and Chair Rental, Saratoga Springs Table and Chair Rental, Latham Table and Chair Rental, Colonie Table and Chair Rental, Ballston Spa Table and Chair Rental, Niskayuna Table and Chair Rental, Troy Table and Chair Rental, Waterford Table and Chair Rental, Capital District Table and Chair Rental.